Understanding Website Traffic « Lang Design, Inc. 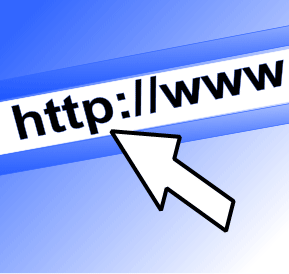 Assuming your business falls under what could be considered the “norm”, you probably have a Website. What is its primary function? Is it to sell products? Is it to promote your business? Or is it to offer information to your customers? Whatever its purpose, is your site paying back the money you spent on it? Meaning, are people using your Web site? I’ll bet a lot of you answered, “I don’t know.” If that is indeed the case, then read on. You may be saying to yourself right now, “I have an online store, I already know how my site is doing.” Well, you do and you don’t. It is true that you know how many orders are coming in, but that is about it. Wouldn’t it be nice to have more information? And, if your site is not a store, wouldn’t you like some clue as to what is going on with your site? This is where Web site traffic analysis comes in. All the people viewing pages on your site constitute its traffic. Having information on who these people are, where they’re from, and what settings they use can be quite helpful when its time to re-evaluate your site. Traffic analysis comes in the form of Web site logs. These logs contain information about all the visitors to your site. While there is a wealth of info, for this article we’ll concentrate on a couple of the major tidbits of knowledge you can glean from your logs. The first piece of information is the number of visitors your site has had. And I don’t mean those little hit counters you’ve probably seen on some sites, I’m talking about a detailed breakdown of the number of visitors per page. This is when numbers can be enlightening. Now that you know which pages are most popular, maybe you can make them more prominent in your sites navigation. Are there pages not being viewed? Maybe people can’t get to them. Maybe the information on those pages isn’t as wonderful as the person writing the copy thought. Whatever the reason, you now have valuable information to shape or re-shape your site’s content to its visitors. The other major part of site analysis is direction. You already know what parts of your site they visited, but how did they get there? Getting a site to be successful includes getting search engines to list your site and getting visitors from the search results to your pages. Your site logs can tell you which search engines are sending people to your site, and by process of elimination, which ones are not. Now you can go back and figure out why a particular engine isn’t getting people to your site. Maybe your site wasn’t submitted correctly, or maybe it was submitted in the wrong area. But now that you know, you can make the proper corrections, and generate more traffic to your site. These are only a couple of pieces of the information Web site logs can provide. There are also ways to tell which internal pages generate links to other pages; if someone has bookmarked your site; and what browser, operating system, monitor settings – well, you get the idea! The hard part is not getting information, but sorting it out and using it to your benefit. But with the wealth of information provided, you should have no trouble turning your site into a powerful resource for your business.